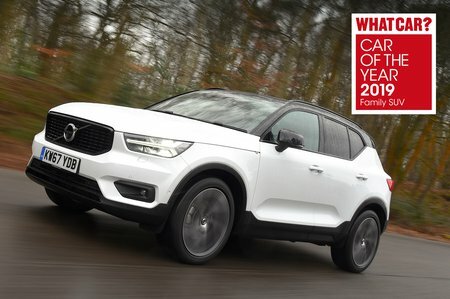 Volvo XC40 2.0 D4  R DESIGN Pro 5dr AWD Geartronic 2019 Review | What Car? Noticeably more muscular than the D3 and T3 engines, this D4 engine is also quicker than an equivalent diesel Volkswagen Tiguan. The XC40 offers stronger, more flexible performance at low revs, so it's definitely worth considering if you want a bit more power from your family SUV, but it does push the price up. Only available with an automatic gearbox and all-wheel drive.